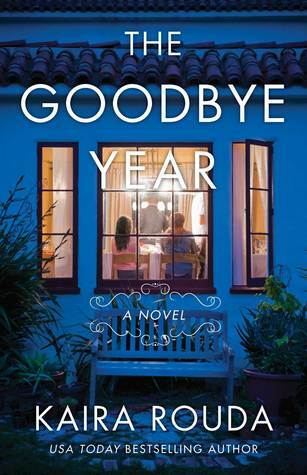 Goodreads: Melanie, a perfectionist mom who views the approaching end of parenting as a type of death, can t believe she has only one more year to live vicariously through her slacker senior son, Dane. Gorgeous mom Sarah has just begun to realize that her only daughter, Ashley, has been serving as a stand-in for her traveling husband, and the thought of her daughter leaving for college is cracking the carefully cultivated facade of her life. Will and his wife are fine as long as he follows the instructions on the family calendar and is sure to keep secret his whole other life with Lauren, the woman he turns to for fun (and who also happens to have a daughter in the senior class). Kritters Thoughts: What a GREAT read! This was absolutely an ensemble book where the author had to include a page to define the family and who was in each family that the book centered around - 5 families! Not only do the parents and their drama take place in the book, but the seniors in high school also get a chance to tell their sides of the story. First, I loved the place in life that this book took place. The parents are dealing with impending empty nest syndrome and the kids have legit senioritis. I think of this transition as a full family transition and it affects everyone in the home, so what a great time in a family's life to highlight in a novel. I am a Kaira Rouda fan, I love how she keeps it real in books, but doesn't overdramatize things one bit. There was only one spot in this book in one storyline where I shrugged my shoulders and wasn't in love, but I can't reveal the spot, it would ruin too much! This one spot did not in one way affect my overall feelings of the book and this makes me want to forgo what I was going to read and go find another Kaira Rouda to read!